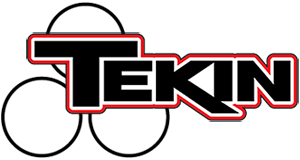 Another great weekend for Tekin in the UK – Tekin – Smaller, Smarter, Faster! Team Driver Mick Farrell qualified 5th and finished the final 2nd in stock just 0.2 seconds behind Andy Griffiths! In Sport Modified Mick TQ’ed and won again!! The Sport Modified Championship is looking good again this year. That’s two wins and a second with 3 out of 3 TQ’s for Mick Farrell! « Tekin inks deal with Durangos Ryan Lutz!